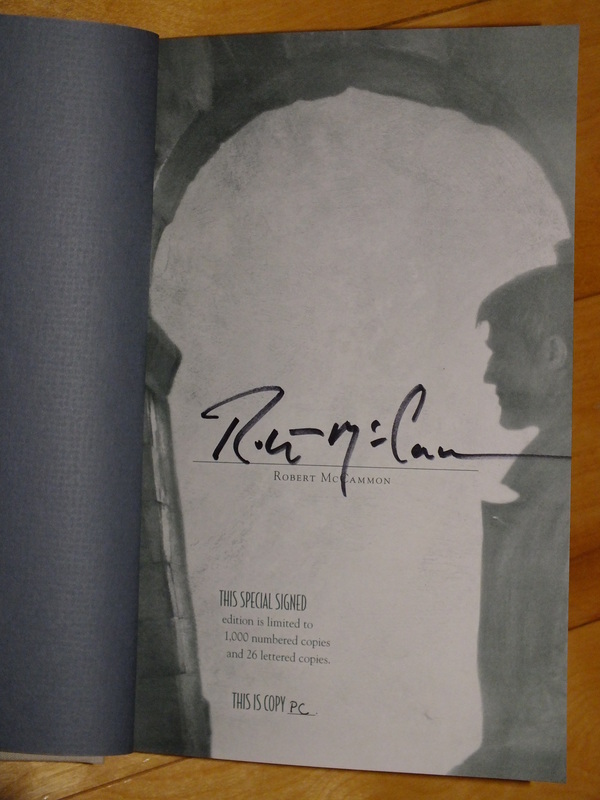 Signed and remarqued by the cover artist Vincent Chong. Synopsis : In the shadowed corners behind enemy lines, Michael Gallatin is England’s most potent weapon against Nazi Germany. 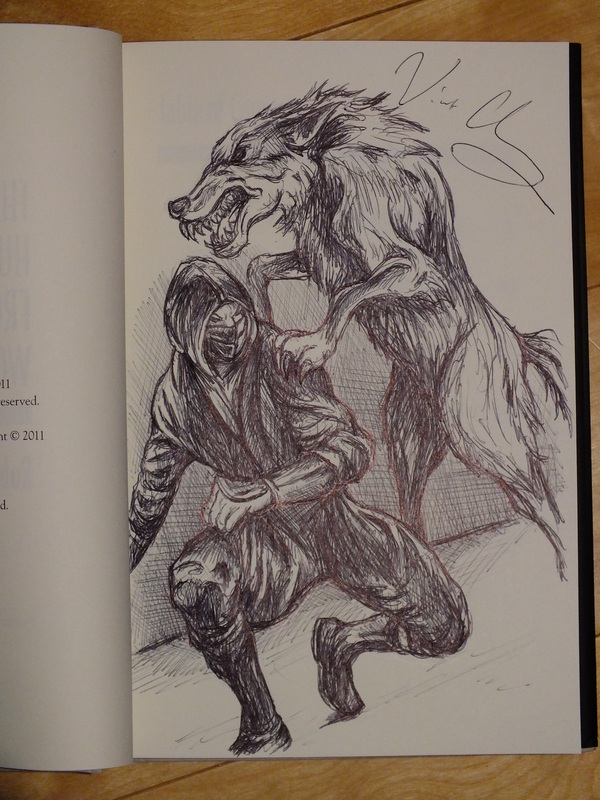 Blessed and cursed by the ability to transform his flesh, Michael lives between worlds as both man and wolf. A gifted spy and a cunning warrior, he is unmatched in the field. No ordinary agent of the British Crown, he’s the one they send when there’s no one else. Returning to a vision first imagined in the New York Times Bestseller The Wolf's Hour, horror master Robert McCammon traces the life of a single man in the midst of the Second World War. From a traveling circus in the Russian steppes, to the skies of North Africa, to the gritty underworld of Berlin itself, The Hunter from the Woods pits Michael against impossible odds, where failure means death and so, too, might victory. Told through a series of interconnected novellas and short stories, McCammon shows us how Michael lived and loved during a time in history when there was little room for either. A visceral and primal journey, The Hunter from the Woods revels in the intimate cruelty of war, but never fails to illuminate the resilience of the human spirit. The Wolf's Hour may be Michael Gallatin's greatest adventure, but these are the stories that comprise his life. They present an alternate history every Robert McCammon fan, and every fan of thrilling fiction, will want to read.